Key creative role in the design of Variable Annuities. Polaris is a high end product that reaches sales goals constantly. The lighthouse is the signature photo for Polaris. For the cover of this brochure, I tediously photoshopped multiple images together to develop the hero image. This level of sophistication continues through the entirety of the campaign. 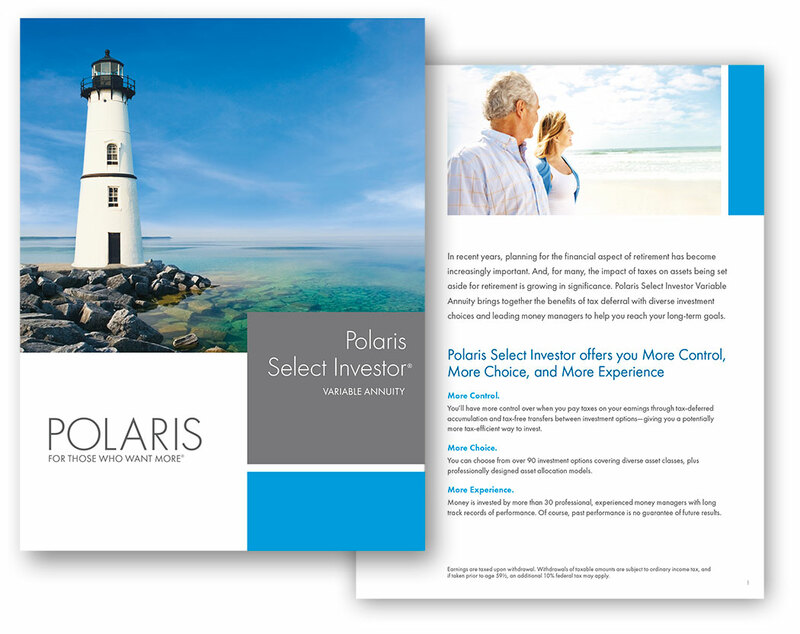 This brochure was the launch of our new “AIG” branded Polaris and award winning product.